Mark Coffin purchased sixty-five rods of land at his location from Richard Mitchell in 1794, and, with a new dwelling house, sold it back to Mitchell five years later for $3,000. In 1801, Richard Mitchell sold the land and the house to his son Benjamin Mitchell, who sold it to his brother Laban in 1809. When business partners William Hadwen and Nathaniel Barney bought the house property in 1829, it included a dwelling house, candle factory, and outbuildings. 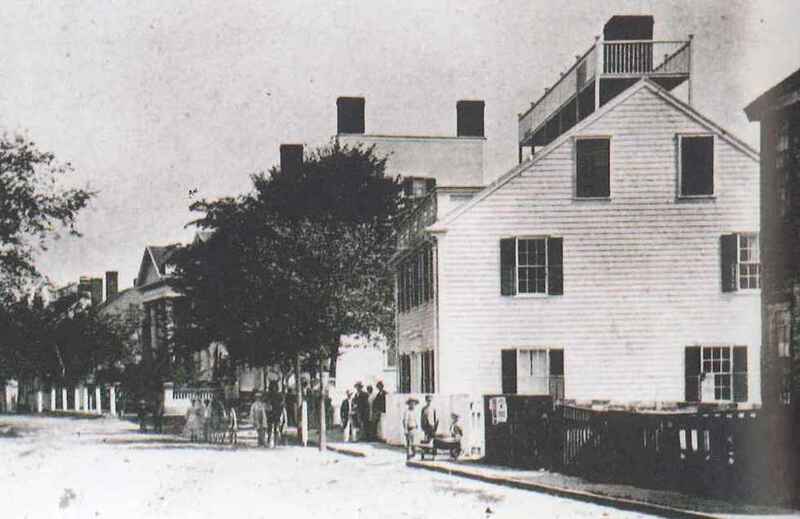 Hadwen and Barney had married sisters Eunice and Eliza Starbuck, daughters of Joseph, and they were housemates as well as copartners in the whale-oil business, sharing the premises at 100 Main until 1846, when William and Eunice Hadwen moved into their new home at 96 Main. Nathaniel and Eliza remained at 100 Main Street until the late 1850s, when they moved to Poughkeepsie, New York, to be near their daughter Sarah. They sold the house at 100 Main Street to their twenty-seven year-old son Joseph S. Barney. After Nathaniel’s death in Poughkeepsie in 1869, Eliza returned to Nantucket where she built the house at 73 Main, purportedly with Joseph’s assistance. In 1866 the house at 100 Main was once again purchased by a member of the Mitchell family: Joseph Mitchell 2nd (1809-85), whose great-grandfather was the same Benjamin Mitchell who owned the house in the early 1800s. Joseph went to sea as a boy, working his way up through the ranks to become first mate and then master of the Three Brothers, one of Joseph Starbuck’s most successful whaling ships. The house remained in the Mitchell family until 1923. 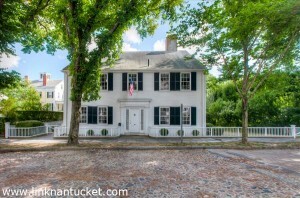 100 Main, a rather grand home, was constructed next to the Quaker Meeting house at 98 Main; bigger than the typical Nantucket house, this five-bay dwelling would have originally had a chimney on the east side as well as the one remaining on the west.